What Certifications, Licenses and Registrations Do Electricians Need? People depend upon electricity for a significant portion of their daily lives. From heating and cooling to lighting and appliances, people across the country rely on electricity to power their lives – and electricians make it all possible. Without qualified electricians, many of the advancements and comforts people have come to expect would not be possible. Being an electrician is an exciting career that requires hands-on work, problem-solving skills, and customer service skills. Furthermore, engineering offers the opportunity to improve the lives of people everywhere. Electricians are responsible for installing and maintaining electrical systems in homes, businesses, and industrial buildings. They handle the wiring, transformers, and circuit breakers to create a system that is safe and runs reliably for the users. Furthermore, they must follow state and local building regulation based on the National Electric Code. 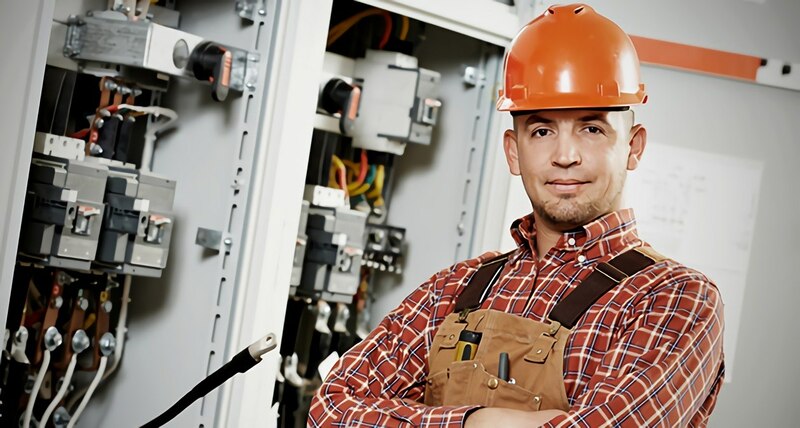 Attending a vocational school program to receive training in circuitry, safety, and electricity is a common way to start an electrician career. The Refrigeration School’s electrician training program prepares students for the exams they need to take in order to obtain their credentials. Every state has slightly different requirements for electricians in terms of what tests are required to receive the different licenses. Although individual states have their own requirements for who qualifies for which position, most areas require that applicants complete a certain number of hours of classroom education and on-the-job training. Supervised worked experience and classroom learning about electricity prior to taking an intensive exam are commonly seen requirements for those seeking a journeyman certification. According to the U.S. Bureau of Labor Statistics 1, students have to take their state’s journeyman licensing exam in order to perform duties on their own. This test will ensure they understand electricity, including the National Electric code, the state electrical codes, and local electrical codes. Passing the journeyman licensing exam opens the door for qualified professionals to advance through the field. Some professionals may also wish to pursue additional certifications, such as those offered for solar installation professionals by SEI or NABCEP. These certificates can help electricians proceed if they want to focus on solar energy electricity. Here is a breakdown of which states do and do not require licensing. The exact requirements will vary by state, so interested professionals should contact their local building commission or other licensing body. No statewide licensing, most local jurisdictions have licensing. Note: optional exam to ensure licensing in all jurisdictions. Many states have reciprocal relationships with others, meaning that they will recognize licenses that have been issued by other states. For example, California, Arizona, Nevada, and Utah all acknowledge each other’s licenses in good standing. Maine will reciprocally recognize New Hampshire and Vermont at certain levels. Working as an electrician is an exciting field that offers faster-than-average projected job growth 2, the chance to work in emerging markets, and the opportunity to work in fields that directly impact people. Those interested in entering this industry should contact RSI for help in getting started.